There are lots of ways to help us support vulnerable people in our local community. And it doesn't need to take up much of your time. If you can help us with fundraising, befriending, helping at our Hub centres, or as a community ambassador, we'd love to hear from you. Take a look below for more information. As a volunteer Befriender, you'll be matched up with a member on our waiting list, spending a little time together every other week or whenever you can. You'll provide the member with much needed friendship and the opportunity to get out and about in their local community. + How does the matching process work? Volunteer Befrienders are specifically matched with a member on our waiting list, taking into account location, hobbies, interests and personality. We also take into account individual needs. Volunteers are provided with up to 5 suitable member profiles. Volunteers chose from these member profiles who they would like to meet with. The first meeting will take place between the Link Co-Ordinator, volunteer and member at a place and time convenient to all. Further meetings are arranged on a trial basis. Volunteers and members will received ongoing support from their Link Co-ordinator and will be made to feel as comfortable as possible throughout this process. + What activities can linked friends do together? The role of a Befriender is what you make it. Once linked, you and your linked friend can do anything from going shopping, going on day trips together, fishing or just meeting for a cup of tea and a chat. + How often would I need to volunteer my time? The role of a Befriender is very flexible and easy to work around even the busiest of lifestyles. Volunteers are required to meet with their linked friend for a minimum of just 2-3 hours each month. This could mean meeting your linked friend once a week, once every two weeks, or even once a month. + Will I need/be given training? + What are the benefits of being a Befriender? + Am I able to claim volunteer expenses? The Befriending Scheme reimburse volunteers up to £7.50 per visit with their linked friend. We also reimburse volunteers up to 100 miles per month at 45p a mile for travelling with or to see your linked friend. + I'm ready to get involved. How do I apply? Great news! You can download our application form. Just click here. Our regular drop-in centres, known as hubs, provide a place for our members to learn new skills, have fun and make friends. Running at six locations across Suffolk, the range of activities on offer is increasing all the time. Our members try their hands at drama, music and crafts, and enjoy games, cooking and relaxing over tea and biscuits. Volunteers might help with preparing food, setting up and clearing away, running games and activities and making sure members are happy, safe and enjoying their time at the hub. 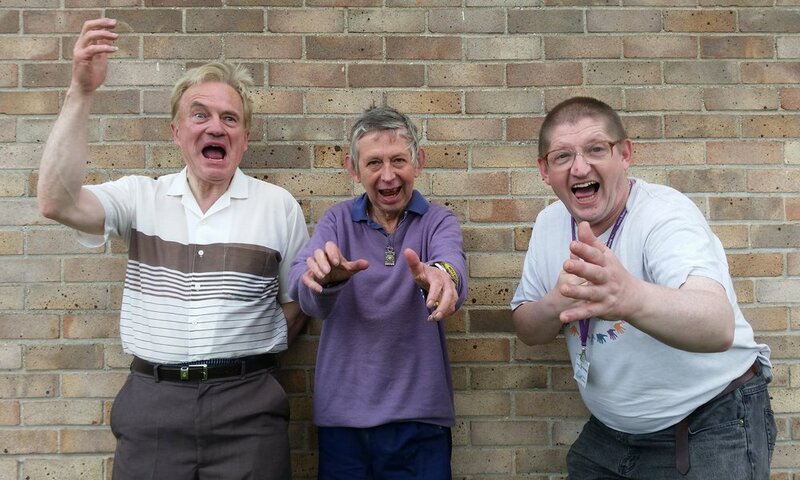 Breathing Space is a project run by The Befriending Scheme, funded by Orbit housing, to support local communities in Norfolk and Suffolk by running community well-being groups. The groups are aimed at Orbit housing tenants however anyone can attend. Services offered include signposting and advice, mental health support, taking isolation, encouraging independence, links to local services and well-being activities. All with an aim to support personal well-being. For information on days and locations of our Breathing Space Groups please call Cat Davison on 07722 407185.
who would like a befriender, or would simply like to engage in more outside activities and themed evenings. Linked pairs can also attend these events. Come along to help out. Held in Sudbury once a month, our members enjoy a Sunday lunch with friends. Could you help with the cooking or help run the activities? Could you host a fundraising event for us or help us at our Summer Ball or other special event? Are you thinking of a fundraising idea that might help The Befriending Scheme? Fundraising & Events volunteers help us run special and memorable events for our members and communities, and to raise the profile of The Befriending Scheme.